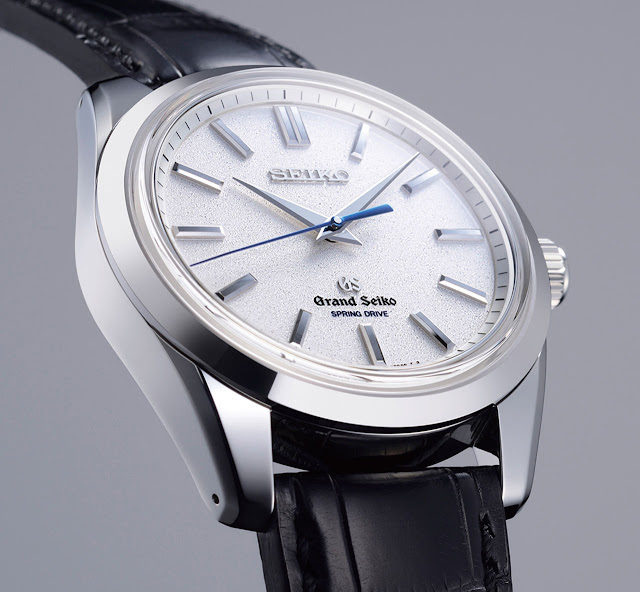 Created in 1960 by Seiko, the Grand Seiko division is dedicated to create timepieces that can compete with the best mechanical watch manufacturers in terms of quality and performance. In particular, development is driven by four key principles: precision, legibility, comfort and durability. 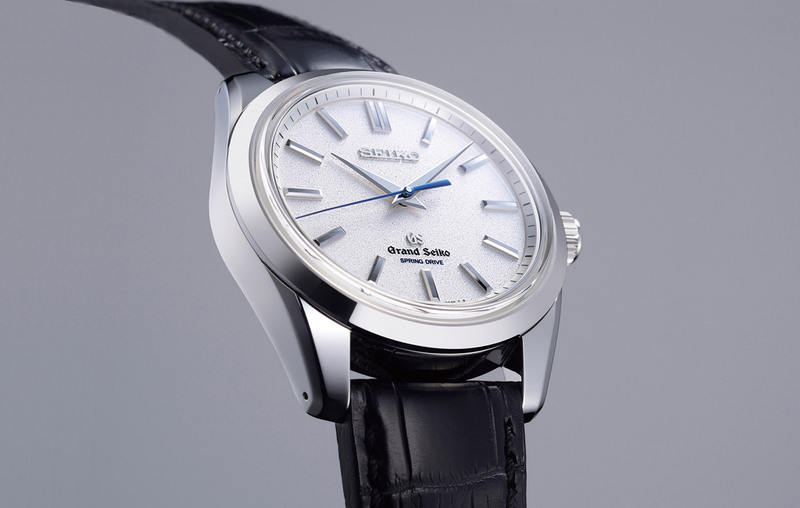 The new Grand Seiko Spring Drive 8 Day Power Reserve is a demonstration of these values. 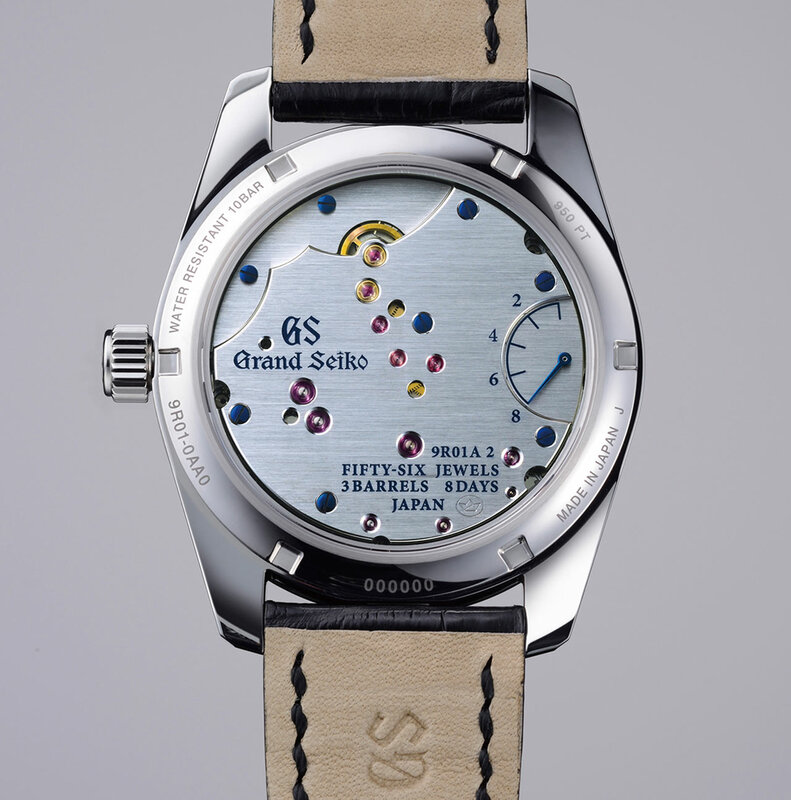 The new watch is the very first Grand Seiko watch to have been created by the celebrated Micro Artist Studio in Seiko’s facility in Shiojiri in the Nagano prefecture of central Japan. Mainly known for the Spring Drive Minute Repeater, Sonnerie and Eichi watches created for Credor, Seiko's ultra high-end line crafted in precious metals (the name Credor comes from the French Créte d'Or), the Micro Artist Studio developed the remarkable Spring Drive calibre 9R01 that offers an eight-day power reserve with the highest quality in terms of materials and finishing. Three barrels are integrated in the movement to extend the power reserve. They are linked together and the springs unwind simultaneously, but about three times more slowly than in a single barrel, thus extending the power reserve. Comprised of 307 parts, including 56 jewels, this hand wound movement guarantees the exceptional accuracy of ±0.5 second per day (±10 seconds per month). Spring Drive is Seiko’s spring-driven movement is regulated by a state-of-the-art electronic technology that functions without batteries or other external power source. As in conventional mechanical watches, the sole power source of Spring Drive is a mainspring that can be wound by the motion of an oscillating weight or by winding the crown. The mainspring also drives the gears that rotate the hour, minute and second hands. A rotor, connected to the end of these gears, generate a small electrical charge that activates an electronic circuit and quartz oscillator. This exclusive technology combines the long-lasting autonomy of a mechanical watch with the precision that, generally, only electronic watches can provide. The beautiful finishing of the one-piece bridge, the rubies and the power reserve indicator are visible through the transparent sapphire crystal case back. The one-piece bridge was adopted to ensure the precise positioning of each wheel in the gear train and maximises the efficiency of the transmission of power from the barrels. Its rigidity also prevents distortion in the event of impact or other shock. The 43 mm x 13.2 mm case is crafted from a special platinum that can be polished to a sparkling mirror finish using a proprietary technique known as Zaratsu or blade polishing which is performed by carefully applying a rotating tin plate against the case at a very precise angle. The resulting surface is so highly polished that it looks black from certain angles. Protected by a high definition dual-curved box shaped sapphire crystal with anti-reflective coating, the clean dial is dominated by the large hands that, just like the hour markers, have the typical characteristic of being five-faceted. So much more interesting than any Swiss watch I've looked at recently... there is a simplicity that is almost peaceful... I think this "Peacefulness" is a shared attribute of the GS designs...but this watch is the epitome of the concept. Hi Silvestro! I also love this watch. I like your "peaceful" definition, especially for the front view. 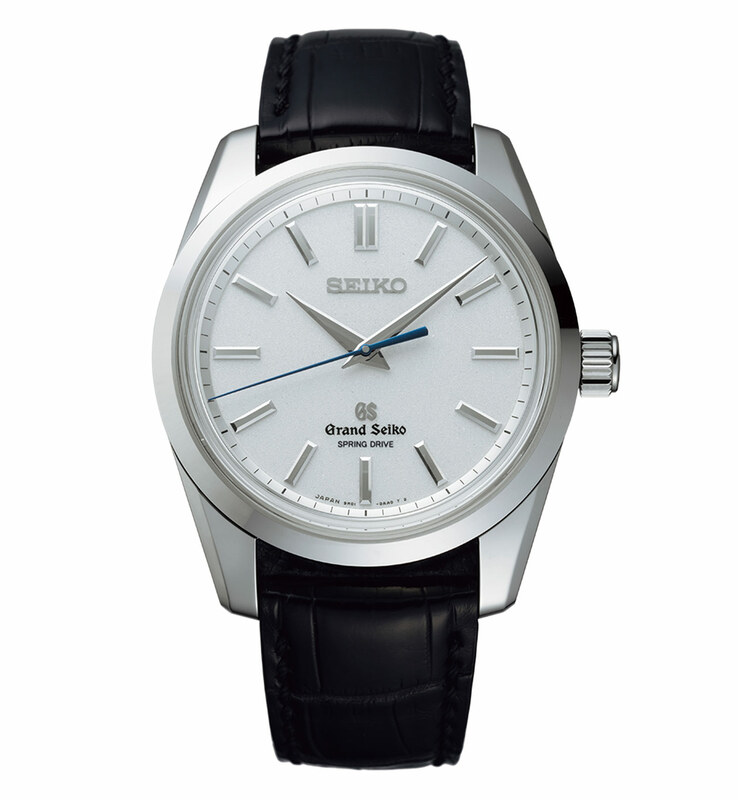 Grand Seiko Spring Drive 8 Day Power Reserve in Platinum. The new Grand Seiko Spring Drive 8 Day Power Reserve is the very first Grand Seiko watch to have been created by the celebrated Micro Artist Studio in Seiko’s facility in Shiojiri in the Nagano prefecture of central Japan. 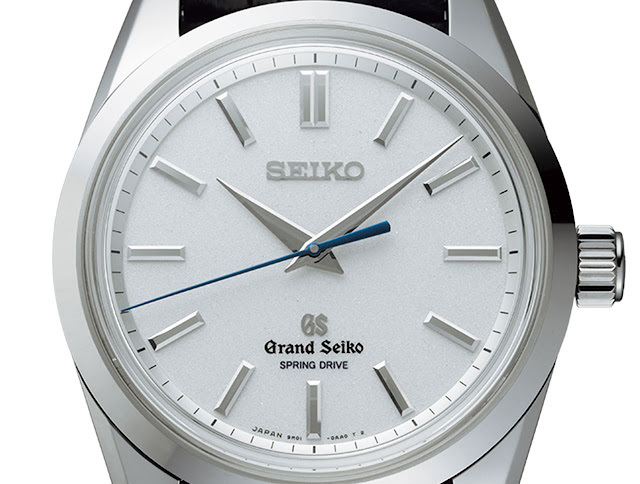 The Grand Seiko Spring Drive 8 Day Power Reserve in Platinum (Ref. SBGD001) has a price of Euro 60,000 / US$ 55,000.